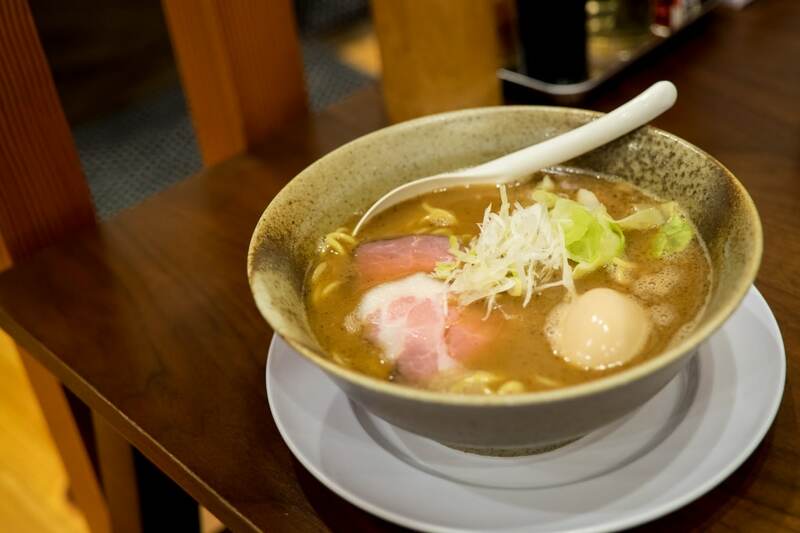 Niigata is a vast prefecture, and the use of a personal car to get around to the best ramen shops is a must. Fortunately, Ramen Adventures' Brian MacDuckston can call on friends in the area to take him out for an essential bowl. Life has three main items: a rich tonkotsu gyokai bowl, a light style made with chicken and fish, and a heavier version of the light style. The tonkotsu gyokai is your typical awesome bowl, with bits of dried fish sticking to every slurp and a taste that's powerful but not overpowering.